COMING SOON TO A BRAIN NEAR YOU! BUY IT at Amazon.com which might be a fragile link, being so long. 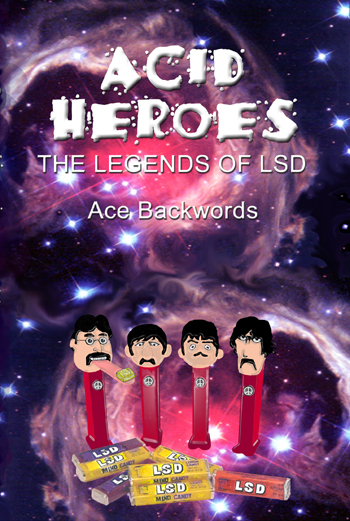 So try this Tiny URL for the Amazon Acid Heroes page or just go to Amazon and type Acid Heroes into the search for books. Heroes. It’s an ironic word. They were heroes in a way. They were pioneers. They were bold explorers, exploring the uncharted realms of the human mind. They were goddam space cowboys. And they rolled the dice for real. 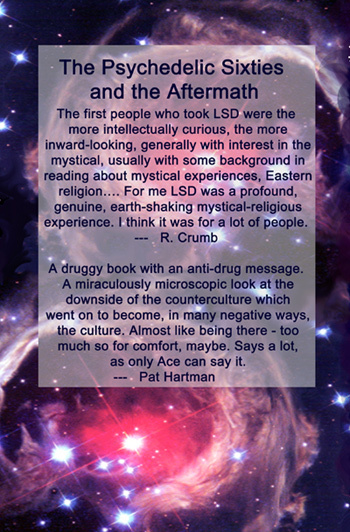 They risked their sanity in the search for the higher states of consciousness. The quest for the Holy Grail. Cosmic Consciousness. And you could say they added some color and light and music to an otherwise gray world. Some of the other stuff they did I wasn’t so crazy about. I guess I was just a hero-worshipper. And they were all Great Men in a way. We just wanted to get high! Was that so wrong? We just wanted to feel happy. But we couldn’t figure out how to get there. And stay there. My kids found this book and ran away from home to join Wavy Gravy at the hog farm. So it’s not so bad. BUY THE BOOK!!!!! I am glad this book does not cost an arm and a leg. Dropping acid and drawing cartoons with Ace back in the 60’s are some of my best and most frightening memories/flashbacks. It’s amazing that I would go on to draw Peanut’s and Ace would go on to work for them. A great read in any event. There is a good new book called going solo about the rise and surprising appeal of living alone. Lonely I hate you Christmas confused could be worse gratitude is important is ,Ace you got a lot of integrity, and Christmas you can hate ,me I ,hate you !head for the Valleys!!!!!!!!! Uncle Juan deleted it from Youtube.